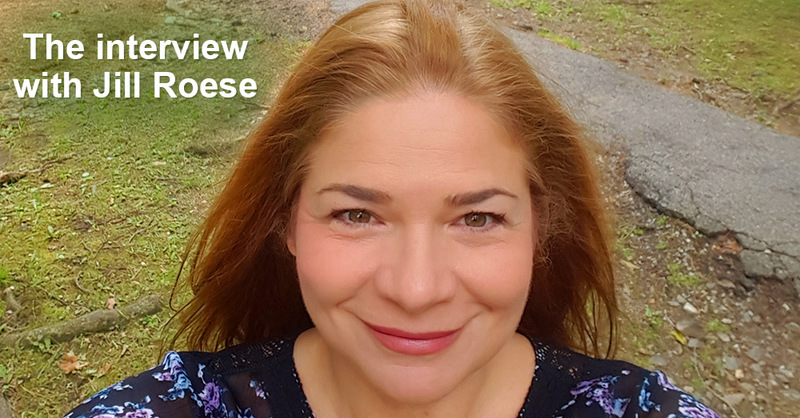 Here is an interview with Jill Roese, philologist and Russian language teacher. We asked her a few questions about her life and how she studied Russian. Learnrussian: Hello, Jill! Could you tell a little about yourself, where you studied, what hobbies you have? Jill: My name is Jill Roese. I am a philologist (Ph.D.) in Slavic Languages. I received my degree from Columbia University in New York. My academic interest is in Soviet literature of the 1920s and 30s. I enjoy travelling, reading, music, and theater. I also enjoy coloring mandalas and scolding cats. Learnrussian: When did you get interested in Russian? Jill: I first became interested in Russian when I was 14 years old. I was attending a French language camp sponsored by Concordia College in Moorhead, Minnesota. In addition to the French camp, there were several other language camps, including Russian. At the end of the camp session, all the kids from all the language camps came together for an international friendship day. I was fascinated by the Russian camp director. He was dressed as Lenin and was running around with a copy of Pravda in his hand shouting revolutionary slogans. The Russian camp kids all wore tags with Russian names they had chosen for themselves. I couldn’t read them; some of the letters were familiar, some were written backwards, and others were completely unintelligible. The strange alphabet even contained a number: the number 61[= ы]. I was deeply intrigued. On top of all this drama and mystery, I had a romance with Alexander, one of the boys at the French camp. But on the day of the international festival, he too had been seduced by Russian culture. He abandoned me and spent the day with a girl from the Russian camp whose nametag proclaimed «ТАНЯ». That was the final straw: I had to learn Russian, if only to be as interesting to Alexander as ТАНЯ was. I returned to middle school with this idea planted in my mind, but I did not have the opportunity to take Russian courses until college. The rest is history. Learnrussian: How did you know about the opportunity to learn Russian in Daugavpils? Jill: I learned about “Learn Russian in the EU” from Dr. Jason Galie, a graduate school friend who now teaches Russian-English translation in Washington, DC. He highly recommended it as one of the most academically rigorous abroad programs currently available. I decided to come to Daugavpils on his recommendation. Learnrussian: What were you first impressions of Daugavpils? Jill: I first arrived in Daugavpils in mid-October of last year. My first impressions were very positive. It is a beautiful and peaceful small city with a thriving fine arts community. I was very pleased to see the number and variety of dramatic and musical performances taking place in the city. American cities of similar size generally lack anything approaching this level of cultural depth. I also feel much safer here than I do in New York City. Daugavpils is not a target for terrorists. I was astounded at the absence of security at the entrance to the University building at Vienibas 13 – such a thing is unheard of at American universities. I was here for over a month before I saw local police officers. Learnrussian: What did you find the most difficult in learning Russian and why? Jill: For me, the most difficult aspect of learning Russian was accustoming my ear to spoken Russian. When I began studying Russian in 1981, it was the height of the Cold War and it was difficult for Americans to spend extended periods of time in the USSR and learn the language well. All but one of my professors in college were Americans. All of them spoke Russian with a pronounced American accent. After three and a half years of studying the language, I went to Moscow for a semester. When I got off the train, I couldn’t understand a word of what was being said around me. Learnrussian: Why did you decide to come back to Daugavpils? Jill: I came to Daugavpils as a student in the program “Learn Russian in the EU” at Daugavpils University Department of Slavic Languages for the fall semester (October to January) of 2017. In January, I went back to NYC to pack up my belongings and put them in storage and returned to Daugavpils in mid-February to stay an additional six months. I have fallen in love with the place. I am currently working teaching a course in beginning Russian to a group of American students from the University of North Georgia. I also teach courses in English as a Foreign language. I must return (alas) to the US in mid-August to begin a new job as an Assistant Professor of Russian at a famous foreign language institute in Monterey, California. Learnrussian: Do you like teaching Russian to students and why? Jill: I very much enjoy teaching Russian as a foreign language. I think I do a good job of explaining Russian grammar to beginning American students of the language. Because I am a native speaker of English who has wrestled with – and made sense of – Russian grammar, I can offer unique insights to new students of the language. Learnrussian: What advice would you give to people who have just started learning Russian? Jill: My advice to beginning students of Russian is to make flash cards for studying nouns and verbs – especially irregular ones – and to spend just 5 minutes a day reviewing them. This will ease the feeling of being overwhelmed by the amount of new material you are presented with in the first year of study. Don’t give up. It is a difficult language, but learning it is extremely rewarding. Russian has been a tremendous source of happiness and satisfaction in my life for over 35 years. I hardly ever think about ТАНЯ these days. Sometimes I wonder if she still has anything on me. Alexander is now a Hollywood film director. I wonder if he, too, ever thinks about her. Learnrussian: Thank you very much for the interesting interview. You are always welcome here in Daugavpils!